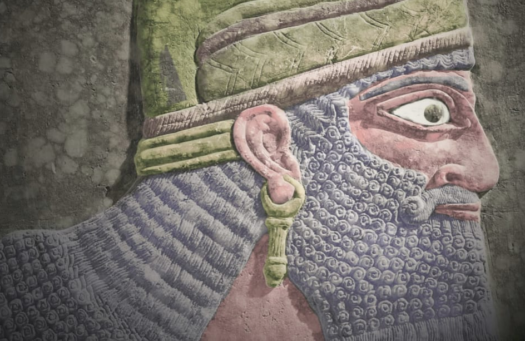 A rare 3,000 year old piece of Assyrian art relief was put up for auction at Christie’s New York, an auction house that speaks of extraordinary art, unparalleled service, expertise and global research. Before the auction, the piece was estimated to be $10 million. It ended up being sold for an astonishing amount of $31 million by an anonymous buyer. The panel was excavated sometime in the 19th century by Austen Henry Layard from the ruins of the Northwest Palace of Nimrud, which new resides as ruins in present day Iraq. Over the years, it remained in a private library where it’s true value was unknown. The selling of the solid slab of gypsum depicting a deity marks the first high-profile sale of Assyrian art since 2015, when ISIS occupied Mosul (which is 20 miles north from Nimrud) and reduced the site to rubble. The palace it was excavated from was the crowning piece of architecture of King Ashurnasirpal II, who led one of the most powerful empires from 883 to 859 BC. The interior was designed with more than 400 sculpted relief panels. The panels not only included the deity from above, but also empire building conquests and religious celebrations. Historians claim that the entire palace itself was designed to impress and overwhelm. However, while this artwork has broken records and has great historical significance, it went under controversy. The argument was that it was illegally taken while Iraq was under occupation. The Iraqi government believes that the Assyrian people have a claim to it because if its cultural significance. The Iraqi Ministry of Culture pressed International agencies, such as UNESCO and Interpol, to halt the sale but there was no success. Jabbar Jaafar, executive director of Voices of Iraq, strongly advocates for its return by drawing in the rest of the world with its significance. “This is not just the heritage of Iraq. It is the heritage of mankind,” said Jaafar. The controversy of the panel has others like it raging around the world. The issue of the ownership of archaeological artifacts seems likely to continue for years to come.